Do you love food? How about the Food Network? A little adventure... some romance thrown in? Ok... then you're gonna love this book! It has it all! Holy Guacamole is a story about Bonnie Miller. A foodie to the max. She is a culinary genius who runs not only a restaurant for those with a particular palette, but a culinary 'boot camp' as well. She's one spicy habanero, but she's hiding a secret. Can she keep it under wraps? Enter Trace Domingo. A washed up sports journalist in need of a career change. He's been accepted into Bonnie Miller's boot camp. A great opportunity to work with the woman he adores on T.V... but can he handle the 'real' Bonnie? 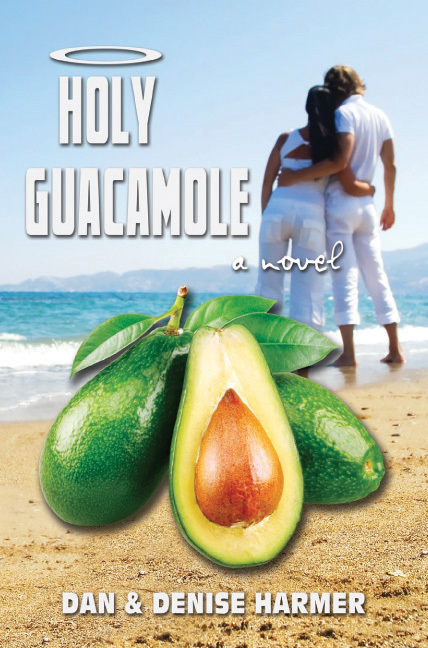 Holy Guacamole is fun fiction. At the beginning I wasn't sure if I would like it, but after the first chapter or two, it quickly drew me in. Not sure what I was expecting, but I ended up really enjoying it. It took me in a direction that I hadn't expected. The setting was beautiful and the twists and turns kept me coming back for more. It held my attention. I loved the characters... a good mix that made for an interesting book. It's a romance novel, a mystery, an adventure, and a story of forgiveness all rolled up in one. Don't know if the authors plan a sequel... but I'll be watching! I'd like to see what's ahead not only for Bonnie and Trace, but the others as well. Jimmy the Knife, Kelp and his goat Nado, Marley, Sunshine and Lucy, and Anna and Alex. Some great stories going on in there! Give this one a try!